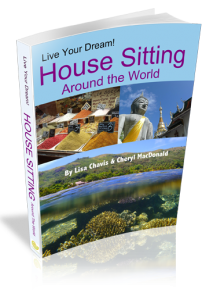 Traveling with Gout - How to Stop the Pain of Gout Fast! How To Stop Gout Pain Now! Few words are more capable of striking fear into a traveler than “gout flare”. Imagine feeling as though you have ground glass in your joints with every move you take? Traveling with gout in the foot can feel as though the tender tissue is being stabbed by thousands of tiny needle-sharp knives with every step. The pain of gout can bring a grown man (or woman) to tears and seriously hamper a good vacation. There are many gout treatments and gout medications to sift through when all you want is the pain to stop. Read below for ways to keep gout out of your life as well as treatment options for quickly minimizing the down-time if an attack occurs while you’re traveling. Gout is a type of arthritis in which a crystallized form of uric acid builds up in the joints. Uric acid is produced in the body when naturally found substance called purines are broken down. Gout occurs when the kidneys become overloaded with uric acid and can’t filter it from the blood or when the body can’t flush it out fast enough. Excess urate finds a home in the soft tissue surrounding joints, then hardens into a multitude of microscopic jagged crystals. Ouch! Gout can be triggered by certain foods (like seafood, fatty meats, and alcohol), certain medications (diuretics, aspirin), obesity or stress. It occurs most often in the joint of the big toe, but can affect any major joint in the body. The pain level generally increases very quickly and soon the affected joint is swollen, warm to the touch, and tender. Because the pain can be so severe, you may also feel as though you have flu-like symptoms of fever, chills, and body aches. This can last anywhere from a few days to a few weeks. Definitely NOT the way anyone wants to spend precious vacation time. Being overweight, having poor metabolic health (heart problems, hypertension, diabetes), certain genetic factors, and some medications (like thiazide diuretics) increase the risk of developing gout. Men are more prone to develop gout than women. Gout presents with sudden, severe pain typically in the joints of the ankle, foot, knee, or toe. Stiffness, redness and tenderness of the joints occurs and can lead to physical deformity as the swelling increases. The joint affected is hot to the touch and so sensitive to pain that the slightest touch can be excruciating. The pain is likely to be most severe within the first 4 to 12 hours after it begins and often occurs during the night. To diagnose gout, your doctor looks at how quickly the pain came on and which joints are affected. He might also remove fluid from the affected joint and examine it under a microscope for uric acid crystals. Finding uric acid crystals in the joint fluid is the surest way to make a gout diagnosis. Non-drug and home remedies for gout include paying attention to what triggers your gout to flare. If you know large amounts of alcohol cause pain, alternate a glass of water with every cocktail at the wedding reception. Seafood feasts and heavy steak dinners might have to be limited to ensure a pain-free visit. In fact, a healthy, low-fat diet may be one of the best ways to find welcome long-term relief from gout pain. Munching a big handful of cherries has shown to be effective for many in lowering the frequency of gout attacks – at least 20 cherries a day (1 cup) seems to be the magic number to decrease inflammation and relieve pain. 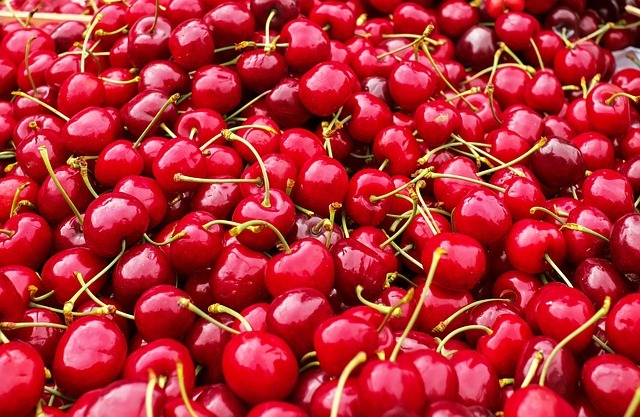 If you don’t have fresh cherries available, choose a supplement like Tart Cherry Extract for Uric Acid Support. Many have found relief from gout pain by taking advantage of the anti-inflammatory properties found in turmeric capsules. Turmeric is a natural product supplement that reduces the activity of xanthine oxidase, the enzyme involved in the production of uric acid. However, it may take several weeks before the anti-inflammatory effect reaches it’s peak, so this won’t be a first choice for acute pain. For faster absorption into the body, a concentrated liquid product like Uricel – Advanced Uric Acid Support may be a good choice. Uricel has good reviews from gout sufferers and contains five natural anti-inflammatory ingredients: turmeric, celery seed extract, yucca root, devil’s claw and tart cherry. It also contains chanca piedra (phyllanthus niruri) – an herbal product used by the indigenous peoples of the Amazon for treatment and removal of gallstones and kidney stones. The literal translation is “stone breaker”, softening both kidney stones and gallstones that gout sufferers are more prone to develop. More good news from the Arthritis Foundation™ is that drinking coffee – a lot of coffee! – four or more cups a day – can significantly decrease your risk of gout. That’s great news for the coffee-lovers out there, but the caffeine can also cause elevation in blood pressure and heart rate in people with hypertension or heart disease. Be sure to talk to your doctor before increasing your coffee consumption, particularly if you have other medical problems. Hydration! Drinking lots of water will help flush the excess uric acid from your system. If your system can quickly flush out excess uric acid, it won’t have time to harden in the joints. #1 Tip for traveling with gout – always carry a water bottle with you! I like the flat A5 Memo Paper bottle because it easily slips into my backpack or the seat pocket of an airplane, but there are many other brands to choose from below. The most important thing is that you keep hydrated when traveling. Because high uric acid occurs when purines from certain foods are broken down in the body, there are definitely particular foods that gout sufferers should avoid. High levels of purines are found in steak, organ meats (kidney, sweetbreads, liver) and seafood (sardines, shellfish). Other foods also cause higher levels of uric acid, such as alcoholic beverages, especially beer, and drinks sweetened with fruit sugar (fructose). When drinking alcohol, avoid more than two servings per day in men and one serving daily in women. During an acute attack of gout, or in patients who have frequent attacks of gout, alcohol should be avoided. Adding fruits, such as apples and bananas, to your diet is a healthy way to keep uric acid levels low. 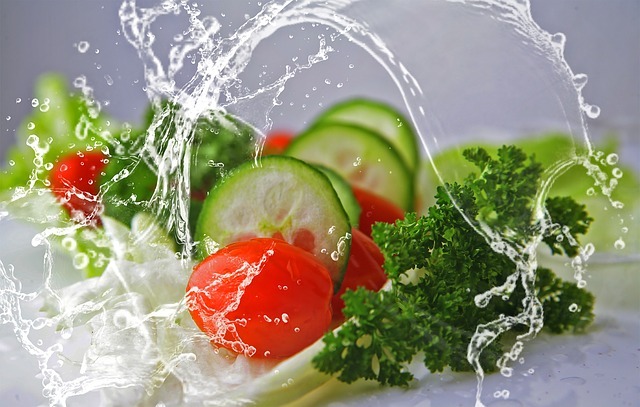 Cabbage, kale, parsley, collards and other green leafies are great for increasing fiber in the diet for natural gout treatment by lowering cholesterol levels. Over-the-counter (OTC) anti-inflammatory medicines like ibuprofen and naproxen sodium are often very helpful in bringing down inflammation and easing joint pain. But check with your doctor or pharmacist first to be certain these won’t interfere with other medications you’re currently taking. Avoid taking aspirin for pain relief during a flare as this may raise uric acid levels and make it worse. Prescription treatment for gout works two ways – treating the acute phase with immediate treatment and prevention (prophylaxis) of chronic gout attacks. For acute gout, your doctor may prescribe medication to stop the pain immediately. This might be a short-term steroid dose-pack like methylprednisolone or prednisone that works by quickly bringing down the painful inflammation. Steroid shots directly into the affected joint may be required to ease the pain. NSAID (non-steroidal anti-inflammatory) medicines are often prescribed for acute gout attacks, especially those involving a few small joints or one large joint (e.g., ankle, knee, wrist, elbow, hip, shoulder). Another first line medicine for acute gout attacks is Colcrys (colchicine) which works by decreasing swelling and lessening the build up of uric acid crystals that cause pain in the affected joints. Once the acute phase has passed, your doctor may prescribe allopurinol to help prevent further gout attacks from occurring. Allopurinol, called a xanthine oxidase inhibitor, works by decreasing the amount of uric acid the body makes. Uloric (febuxostat) – also a xanthine oxidase inhibitor like allopurinol, this medication can be used in patients with intolerance to allopurinol, but should not be used in patients with ischemic heart disease or congestive heart failure. Benemid (probenicid) – a uricosuric drug (one that increases the excretion of uric acid in the urine, flushing it out of the system before it finds a home in the joints). This medication has a long history of use and is less expensive than the new drug Zurampic (lesinurad). Disadvantages include lack of data from large drug trials, multiple daily dosing, and interactions with other medications. Zurampic (lesinurad) – also a uricosuric drug is dosed only once a day and can bring down blood levels of uric acid. It treats high uric acid in people with gout who are already taking allopurinol or Uloric (febuxostat). Duzallo (combination of lesinurad and allopurinol) – decreases uric acid levels in people with gout when allopurinol alone hasn’t been successful. Krystexxa (pegloticase) – changes uric acid into a substance your body can get rid of easily. This drug quickly lowers uric acid levels in the blood (within 24 hours) and helps dissolve the build-up of uric acid crystals in the body. Risks of severe allergic reactions make this medication one that should be administered in a doctor’s office. Reserved for gout prevention in patients with severe gout or intolerance to xanthine oxidase inhibitors and uricosuric agents. 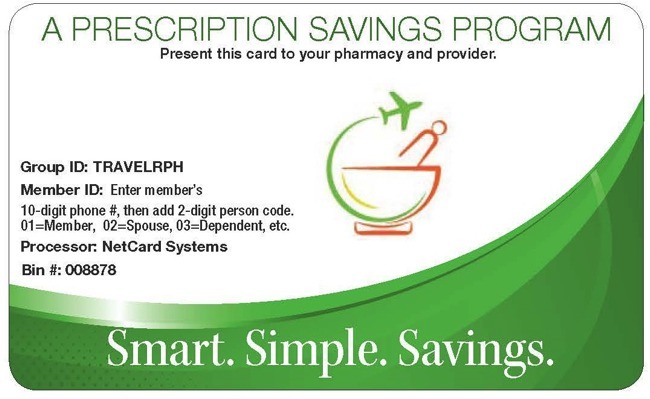 Whether you have prescription drug insurance or not, the free Travel Pharmacist Discount Prescription Card from WellCard may save you money. Simply put in the name of the medication and see what the discounted price will be at your local pharmacy. This is especially helpful if you don’t have any prescription medicine insurance as the savings can be quite significant. This prescription discount card also includes 24/7 TeleHealth Access – telephone consults with nurses and doctors who can diagnose your gout from the comfort of your home or hotel room. TeleHealth options are especially convenient for anyone who is traveling with gout. So my best advice for full vacation enjoyment when traveling with gout is to avoid (or enjoy in moderation) the things that might trigger a gout attack and if you’re prone to flares, be sure you have plenty of medicine on hand to treat the symptoms. Gout is a manageable condition as long as you prepare carefully before you go. Those vacation days are more valuable than gold, so go enjoy them! We are a participant in the Amazon Services LLC Associates Program, an affiliate advertising program designed to provide a means for us to earn fees by linking to Amazon.com and affiliated sites. This does not add any extra cost to you. Get more great Travel Health Tips as well as spa & wellness destinations on our partner site The Travel Pharmacist. Traveling with gout symptoms can be very painful. 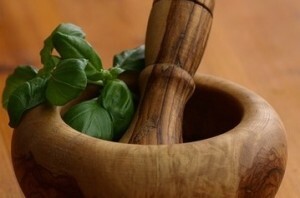 Here are tips for home remedies for gout, gout medications and gout prevention. Gout pain can be controlled, so read what causes gout and what to take to make the pain go away quickly. 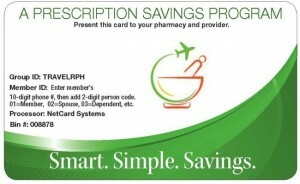 Also save on your gout prescriptions with our free prescription discount card! Free Prescription Discount Card and 24/7 TeleHealth Care! Finding the Blue Domed Church in Santorini…We’ll Show You WHERE! Gout pain is one of the deadliest pain that can say only the sufferer person. I was a victim of that unusual ailment. This informative post about gout pain is very much helpful. 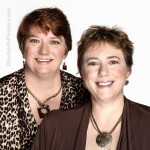 I really enjoyed this article. The above mentioned OTC remedies For gout was awesome. Thanks for giving a chance of being a part here.